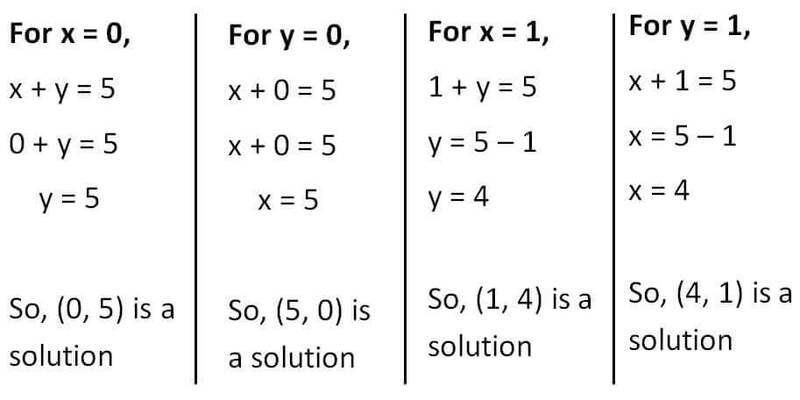 Values of x and y which satisfy the linear equation are called solutions of linear equation. (0, 5), (5, 0) , (1, 4) and (4, 1). For a linear equation, there are infinitely many solutions.